KANARRAVILLE, Iron County – A crash on Interstate 15 resulting in the death of a Nevada man Monday left authorities baffled after they were unable to determine what caused his motorcycle to go off the road. 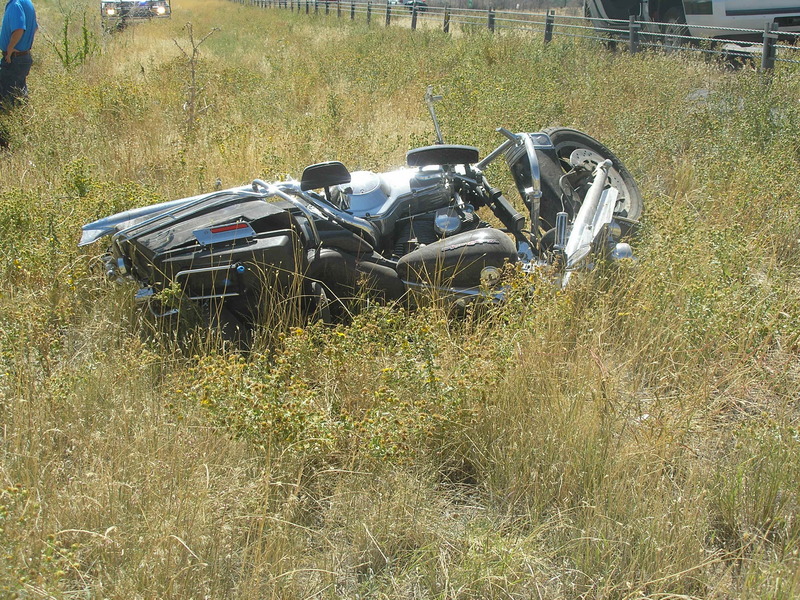 Barry Whitaker, 69, was traveling north around 1:30 p.m. when he veered from the right to the left lane of traffic and then into the median between mileposts 44 and 45, ultimately fishtailing and rolling his motorcycle, said Utah Highway Patrol Sgt. Ryan Bauer. Whitaker died at the scene. Investigators could not find any physical evidence at the crash site to explain what caused the motorcycle to swerve. Witnesses to the accident also said they did not see any apparent reason for Whitaker’s driving pattern, according to the sergeant. Whether the man may have experienced a medical problem while driving is a question that could be answered with an autopsy, the trooper said. “His body will be sent to the medical examiner for an autopsy to determine if in fact that is the case,” Bauer said. Whitaker was driving solo and no other vehicles were involved in the crash.